Importing from Europe: Yay or Neigh? Importing from Europe: Yay or Neigh? (Yes I went there with the pun, sue me). Many equestrians have pondered this exact question. Of course, the right answer is different for everyone, and importing isn’t the magical solution for anyone, but it can be the perfect situation for some. Everyone has heard their fair share of success and horror stories when it comes to the magical importing game. But, if you’re like me, you’re always curious to hear more. I would maybe like to try to find an import myself someday, so I am always interested in hearing people’s personal stories. 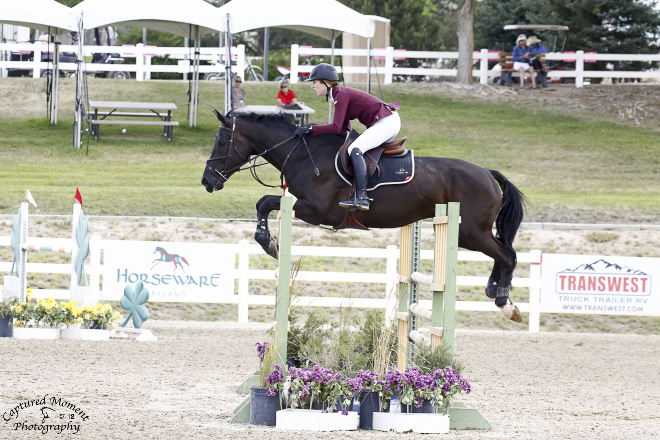 HunkyHanoverian would like to extend a huge thank you to “E” for sharing her import story with us. Welcome E! Can you start by sharing a little bit about yourself? I’m a 30-something full-time working mother of two small children who managed to marry someone I consider to be one of the world’s nicest, patient people. I’ve been horse crazy my entire life – my room growing up was adorned with a giant poster of Margie Engle, and I was so obsessed with her that my entire family now calls me Marge in tribute to this era of my life. I leased horses growing up, always finding a way to clean stalls and feed horses to be able to afford it a little bit more. What factors were involved with your decision to import? In the end, it came down to two main considerations: goals and lifestyle. Up until the discussion of importing I was always picking horses that were right for me in that moment, because I always felt I didn’t need a horse other than a “now horse” until my riding was a little better – the concept of being over-horsed felt frivolous and so I didn’t think much past where I was in that moment in my riding. I still vividly remember being on a walk with my husband, overdue and thus incredibly pregnant with my daughter. 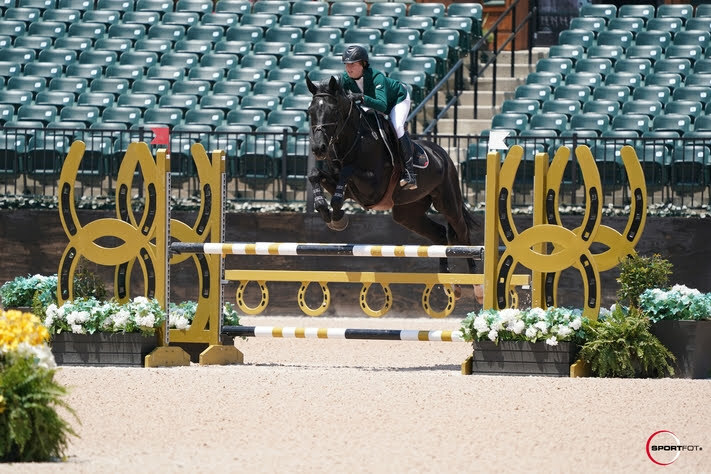 At this point I was without a horse, and having more or less spent over a decade in the adult jumpers I really wanted to get out of that division – so now I had the question of a horse that could take me there, but somehow I also needed to spend less time at the barn. 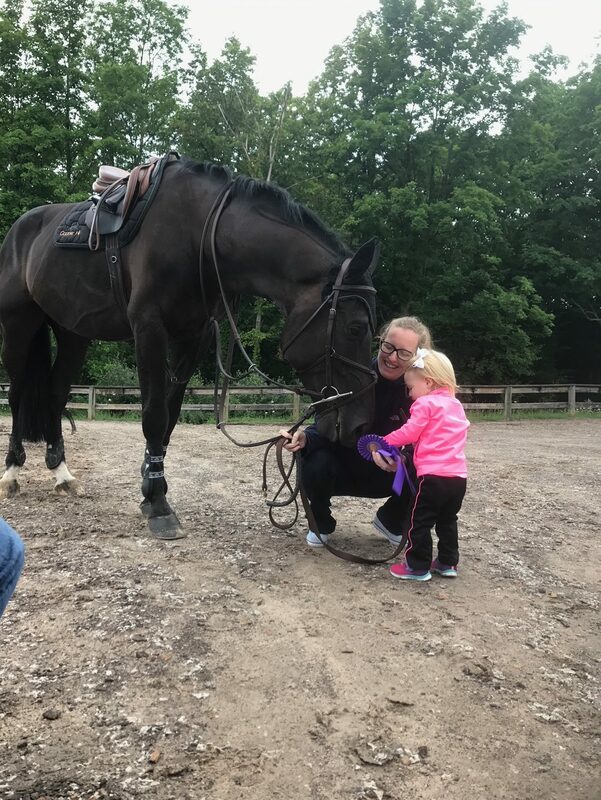 About 3 months after I had my daughter I leased a horse for the summer so that I could really make sure that riding still meant as much to me post-kid as it did before. As it turns out, it was even more important. My husband always committed to me that we wouldn’t sacrifice ourselves as individuals to become parents, so we started working on how to get all of the pieces in place to make this happen. I ride with Nicki Mathen who has a fantastic relationship with several people overseas, and a keen eye for matching horse and rider. 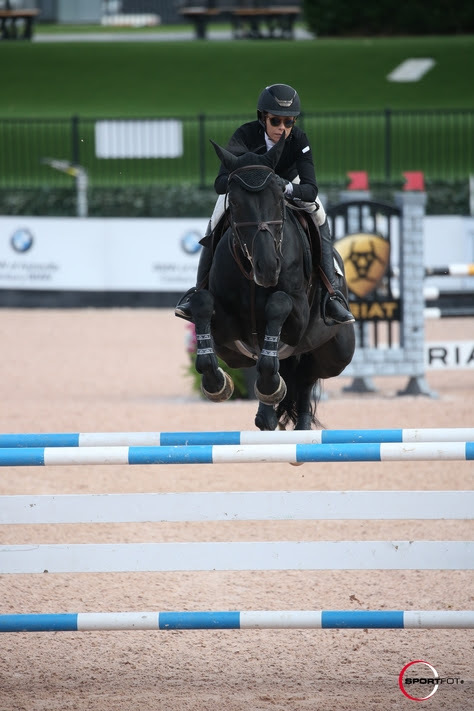 If we were going to make a leap into an AO horse, we wanted to do it right and this seemed like the best path as we had seen so much success of others I ride with and their experience shopping with Nicki. The European system for horses is far better set up to create a larger pool of quality horses than in the US, in my opinion. The exceptional breeding coupled with the inexpensive, local opportunities to develop a young horse result in a much denser group of potential horses. By the time we had a solid plan I was pregnant with my second child, making finding the perfect horse even more critical. All in all, from that first conversation to being on the plane to Europe it took us about a year and a half to get the plans and finances in place to be able to do this – it was not a quick and easy decision! Can you give us a brief description of the shopping process? What was the first step? Did you use an agent? How long did you look for? Step one was making sure my husband was involved from the very beginning – he even went shopping with us, which was so important to me that he be part of the shopping experience. Nicki was incredibly patient and fantastic, doing conference calls with all of us on the line as we talked about where to go, why to go there, budget, why that was the right number, etc. I belabor this point because to me, this is a big decision and you can’t feel like someone isn’t on the same page. This entire process felt very selfish since it’s an expensive hobby that only I get to enjoy, not to mention the time it takes away from the family on a consistent basis – it is a luxury and I know that. I didn’t use an ‘agent’ per se, but I had Nicki who did all of the communication with the folks in Europe and went with us to try the horses. She then spoke to her contacts about my riding, my needs, my goals, our budget, wish list, etc. As a result of Nicki working with these folks on a regular basis, their strong relationships make the process very easy. Horses in Europe move incredibly quickly (I tried one horse and that afternoon we let them know we wanted to do a second try the next morning and she was already sold! ), so there’s not much point in looking at videos ahead of time. We arrived in the Netherlands and the first day of shopping we went to a lot of barns, trying horses at each. Towards the middle of that first day I tried a black gelding…and fell off. We included him in the list of horses for the second try the next day (I honestly did it to appease Nicki), despite the fact that I felt like he would not be the horse. In fact, at the same barn was a bay that felt like butter when I sat on him – surely he would be the horse for me. We then moved on to Switzerland for two days, repeating the process of trying a full load of horses on the first day and then using day 2 for second try. I was incredibly out of shape, 17 weeks pregnant and a little lacking confidence, but especially after falling off the first day I really had to practice being brave for some of the rides as I suddenly remembered that I didn’t actually know any of these horses. They were of course all lovely, but boy was I exhausted. I have always done 2+ week trials on horses before purchasing, so the idea of picking a horse that I fell off, quickly rode the next day and didn’t really feel a ‘connection’ with was just about the most strange feeling in the world to me. Perhaps it was from the fall, perhaps it was the lack of a trial, but that black gelding was probably 4th on my list when it came time to decide. I still remember my husband telling me it was of course my decision, but the reason we brought Nicki with us was because she is a professional and can see the things I can’t. If I can’t trust my own gut about the decision, I needed to trust hers. And so, we called back to Holland and told them we’d like to vet the black horse named Fiarado. What was your import process itself like? How difficult was arranging transport/quarantine? Nicki has worked with The Dutta Corporation for all of her imports and let me tell you – these people are a 5-star operation. They worked directly with the barn in Europe, the airline (he flew KLM and I felt like a kid watching the flight tracker), quarantine and our shipper here. After he cleared the vetting I made one call to let them know the origin and destination, they did everything else – truly could not have been easier. From his home barn in Holland to Copper Hill in Texas it was about $8,500 which included the trailer rides, health certificate, flight, quarantine, etc. Someone from Dutta was at JFK when his flight landed and once they laid eyes on him, I got a text at around 10pm that night that he was here, safe and sound. Talk about customer service! Now that you’ve had Fio for some time, what is the biggest surprise about him? Favorite moment? My biggest surprise is that he has NO surprises, which after a few horses full of surprises, I needed this – and this is why Nicki picked him for me. He was described as having a ‘tape measure for an eye,’ and this is so true – I try really hard to do right by him, and a lot of times that means I just get out of his way and let him pick his step. (Another testament to the quality of the sellers and how important it is to work with dealers you can trust that will give you an accurate description or a horse!) We’ve had him over a year and this horse is exactly the same day-in and day-out. I asked my husband why he stopped asking how my lessons were and he said “because it’s always the same. 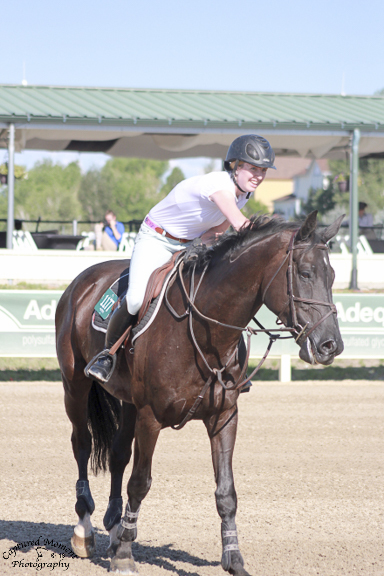 ‘He was perfect, I love that horse, blah blah blah.’” Fio has a little more blood at horse shows, but in the most fantastic, confidence-building way possible. I have so many weird quirks from my previous horses and he puts up with my unnecessary spurring, pulling, and overall weird crap and doesn’t even flinch. He rewards me for doing the right things and teaches me when I do the wrong things, never holding a grudge and always taking a joke. Having gone through the process, would you do it again? Any drawbacks, or words of advice for other first time over sea buyers? 100% absolutely I would do it again. Obviously, money can be seen as a drawback to the process. But for me I looked at it from a much broader perspective of long term costs with the wrong horse vs. the immediate lump-sum for the right horse. It took me a while to see it that way, though, and it may not have been possible had I not had a break from the horse bills (and thus some savings) while having kids. For all of the reasons that Europe is great for shopping, you have to be aware that there are still folks who are in the business of selling horses, and may not have your personal best interest at heart. I’ve heard some friends talk about their spending money to go to Europe and having awful experiences with shady sellers, people not following through, etc. and it makes me really sad for them. If you can, at all possible, work with a professional who knows your needs, can represent them and has personal relationships with the contacts in Europe. You then become not just another buyer, but an extension of their friend. I think it’s fair to say that for her and her family, importing was the perfect solution! I have enjoyed watching Fio’s journey since he came to the US! Fun fact, he’s by Diarado, the same sire as the two foals that Willow Tree Farm (right here in Texas) had this year! We’ve pretty much caught up to Europe on the quality aspect, now we just need to fill in the gap of young horse development. There are a lot more challenges here in that regard. That’s so cool! I agree completely about the quality being bred here- but the young development aspect is somewhat lacking. Seems that anything even under saddle here immediately skyrockets in price, even though it may not have any actual competition experience. I would love a WTW horse someday, but I also haven’t the slightest clue on how to start anything that isn’t already solidly WTC already. And of course, I’ll never have a giant budget! They have to skyrocket in price in order for anyone to make any money, unfortunately. It’s so much more expensive to keep, train, and show horses over here… producing them is so ridiculously pricey. Most breeders aren’t making any money, especially if they keep them until they’re old enough to be started under saddle. It’s a tough thing to really reconcile, we just aren’t set up here to really cater to getting young horses a good start, and the fact that everything is spread so far apart only complicates things. There are a lot of minds at work to try to help improve our system though, so maybe someday we’ll get there. I absolutely agree with Amanda. While I am interested in one day importing something (not necessarily from Europe) for the experience of it all I am also very much in the camp of we need to develop young horses here in the United States which is why I chose domestically bred horses that were very young and inexperienced these last two times I’ve bought. If you want to see things change and progress sometimes you have to step up and be the champion of that change. Love this story! I imported both Rio and Jampy. Rio with the help of my trainer, and Jampy I did all by myself. There are definitely pros and cons, but I would do it again for sure. I’m not planning to for the next horse, I want a less fancy, slightly older hunter type to get my confidence back, then I’d like to go to Europe for a nice jumper. so cool to read (not that I will ever import ANYTHING LOL) and see a success story. Thanks for sharing!